Our goal? To help you live a pain-free life. The professionals at CoxHealth’s pain management clinics in Springfield and Branson can evaluate, diagnose and treat your pain. Whether you’re experiencing back pain, neck pain, shingles, arthritis, headaches, herniated discs, failed back surgery, complex regional pain syndrome or another source of pain, we’re here to help. 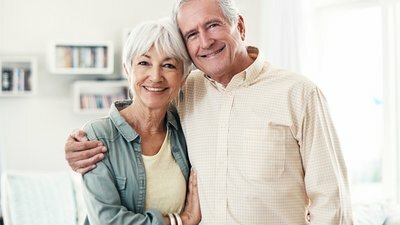 Learn how the brain interprets pain, how other systems in the body are involved in coping with pain, and self-management techniques with these FREE classes. Search our calendar for upcoming classes. Explain Pain 101 and 104 are also available online. An anesthetic and steroid are injected into one or more of your cervical facet joints. A local anesthetic (numbing medicine) is injected near your medial branch nerve, which stops the transmission of pain signals from the facet joint. Radio frequency energy is used to disrupt nerve function and stop the transmission of pain from an injured facet joint. A local anesthetic and a corticosteroid are injected into your atlanto-axial joint. A local anesthetic and a corticosteroid are injected into your atlanto-occipital joint. A corticosteroid (anti-inflammatory medicine) is injected into the epidural space to reduce inflammation. A corticosteroid (anti-inflammatory medicine) is injected directly along an inflamed nerve root. A corticosteroid (anti-inflammatory medicine) is injected from the side where the nerve exits the spine, placing the medicine near the source of inflammation. An anesthetic and steroid are injected into one or more of your thoracic facet joints. A corticosteroid (anti-inflammatory medicine) is injected through the bony opening in your tailbone to reduce inflammation. A corticosteroid is injected from the back of your spine into the epidural space to reduce inflammation. A local anesthetic (numbing medicine) and corticosteroid (anti-inflammatory medicine) are injected into one or more of your lumbar facet joints. An anesthetic is injected near your medial branch nerve. Radiofrequency energy is used to disrupt nerve function at a lumbar medial branch nerve to stop pain transmitting from an injured facet joint. A local anesthetic and a corticosteroid are injected into one or both of your sacroiliac joints or to the ligaments surrounding the joints. The local anesthetic provides temporary pain relief while the corticosteroid reduces inflammation that may be causing pain. X-ray contrast dye is inserted into one or more of your discs to locate tears and leaks that MRIs can miss.